Reignited King’s Poor People’s Campaign. August 2018 – The social activism of the Rev. Dr. William Barber II is being recognized by Unity Magazine. Unity bestowed an award for Spiritually Guided Social Activism to Barber, a 2003 graduate of Drew Theological School who reignited a campaign that seeks equality for the poor. The award is part of the inaugural New Thought Walden Awards that Unity is unveiling this month. The Poor People’s Campaign was the brainchild of Martin Luther King Jr. in the 1960s and remains relevant today. Through issues like wages, education and access to healthcare, the initiative helps people of all backgrounds unite and overcome barriers and discrimination. 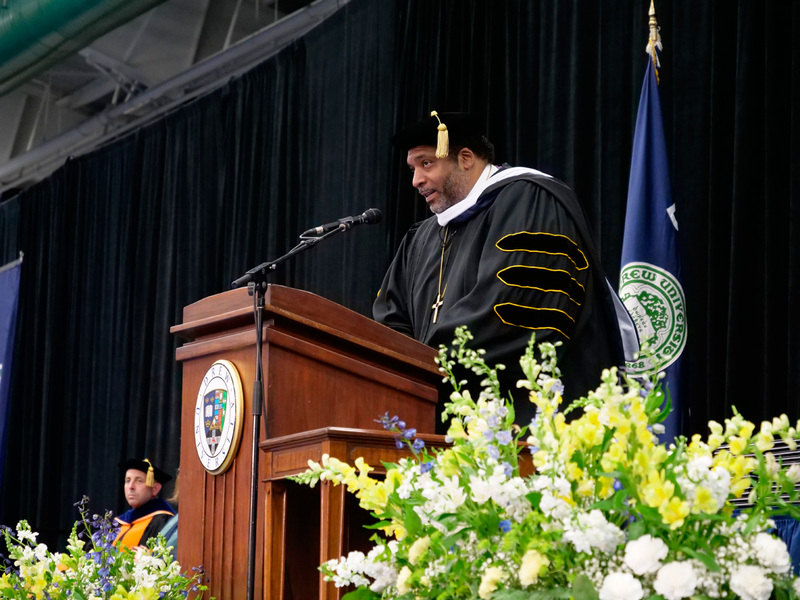 Barber’s leadership on social issues has generated national media attention and earned him an invitation to Drew’s 2017 Commencement, where he urged graduates to “stand up for what is right against what is wrong.” And now Unity is honoring his exceptional commitment to social justice with an award and profile in its September/October issue. To read the profile, please click here. Barber earned a doctor of ministry at Drew Theological School. He also has a master’s from Duke University and bachelor’s from North Carolina Central University. Beyond the Poor People’s Campaign, he is president of Repairers of the Breach, pastor of Greenleaf Christian Church and past president of the North Carolina NAACP.